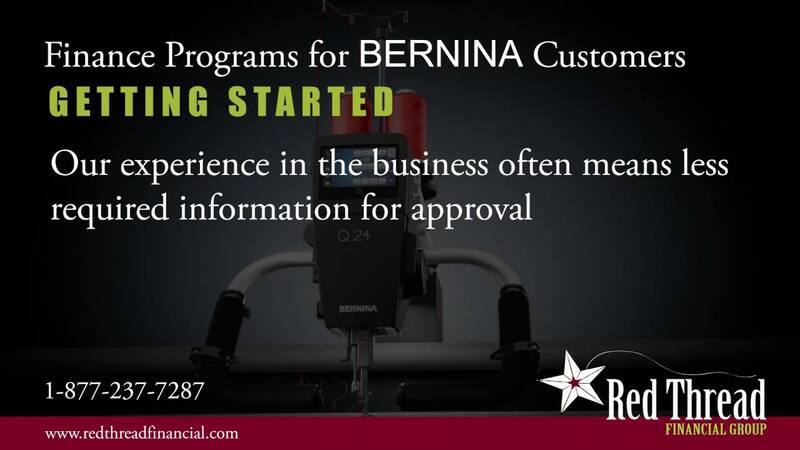 Red Thread Financial Group specializes in finance and lease programs for the quilting and embroidery industry. Red Thread offers commercial finance and lease options to businesses or consumers starting a business. Red Thread does not provide consumer financing. If you have always dreamed of starting or expanding your own quilting or embroidery business and need to preserve capital, Red Thread may be able to help.